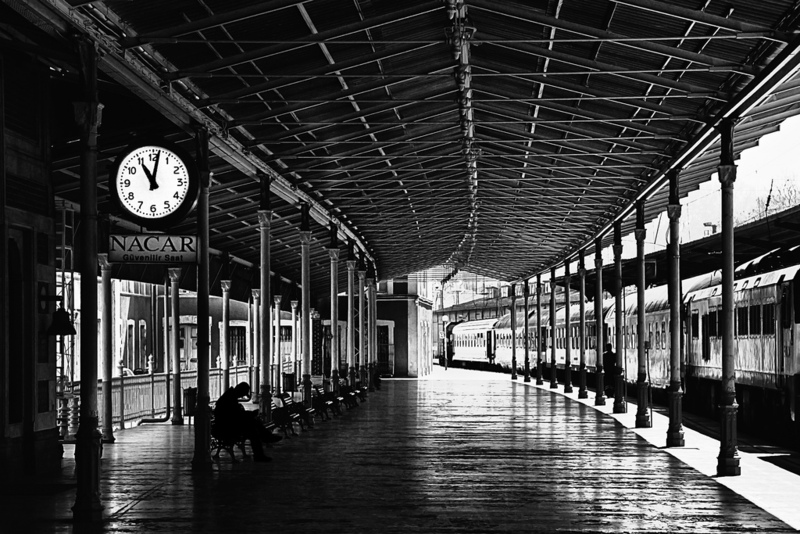 The Sirkeci railway station opened in 1890. James Bond and Tatiana Romanova agree to meet for the 9:00pm departure of the Orient Express, They would’ve met at Sirkeci station. Ian Fleming had been there, and clearly was not impressed. 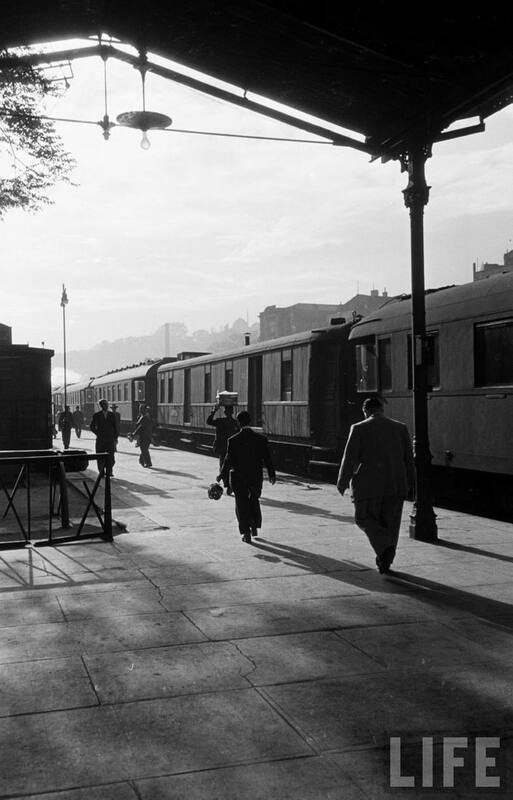 The Orient Express was the only live train in the ugly, cheaply architectured burrow that is Istanbul’s main station. The trains on the other lines were engineless and unattended – waiting for tomorrow. Only Track No. 3 and its platform throbbed with the tragic poetry of departure. 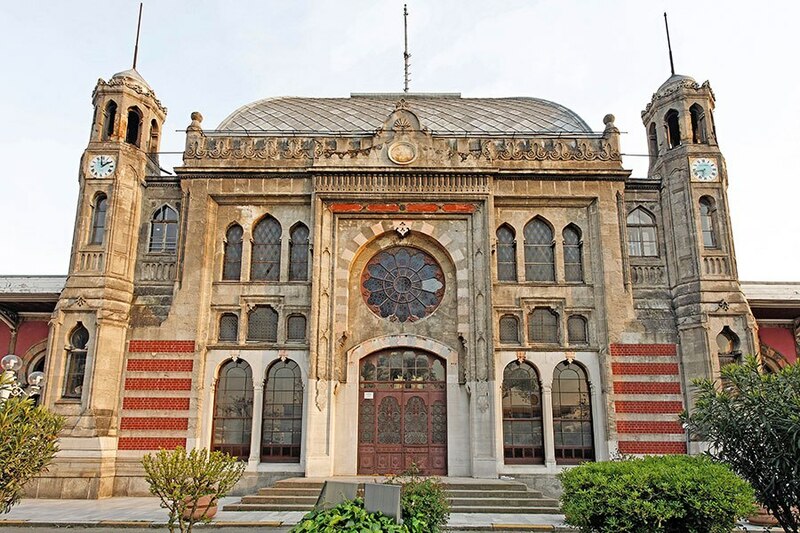 Sirkeci station was in fact, a point of pride for all of Turkey. It had been designed by August Jachmund, a German trained Prussian architect who was heavily influenced by Ottoman architecture. He wanted to create a fusion of East and West, with Constantinople (Istanbul) being the gateway to the Orient. It was were the West ended and the East began. 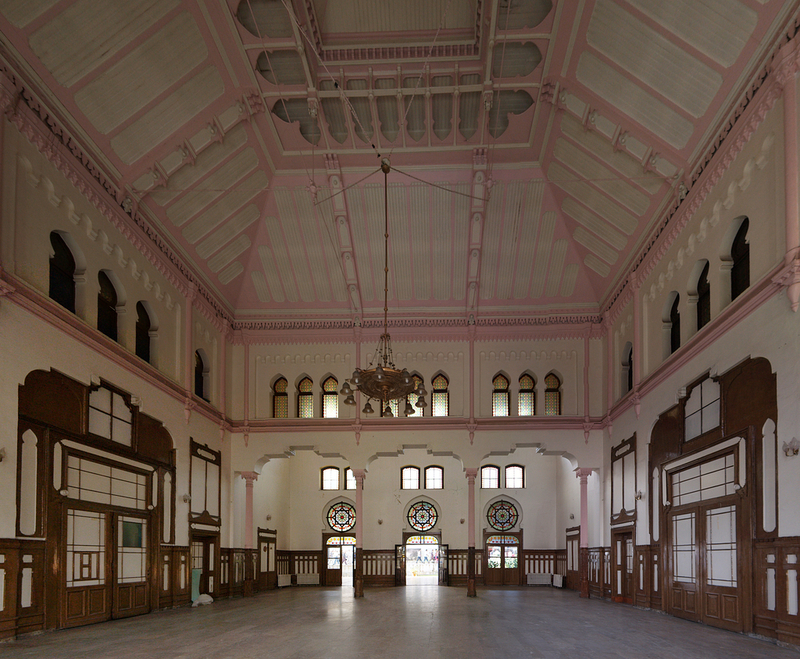 Sirkeci station also was the last stop on the route of the Orient Express. Here are some further shots of the station, as it would’ve appeared to James Bond. High above the guichet, near the ceiling of the station, the minute hand of the big illuminated clock jumped forward an inch and said ‘Nine’. Fleming’s reference to the “cheaply architectured burrow” may have only referred to the platform, as the main terminal is impressive, inside and out. 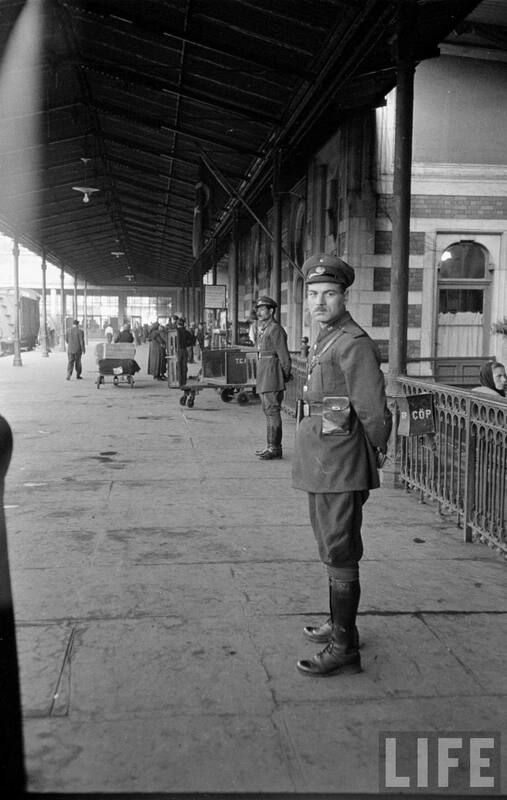 Officers on Sirkeci platform, 1950. Jack Kirns, LIFE magazine. The station still stands and there is a restaurant and a museum inside the old terminal.